This is only a fraction of the new papers on research in evolutionary biology from the last week or so. How many creationist papers have been published in the same time-span? 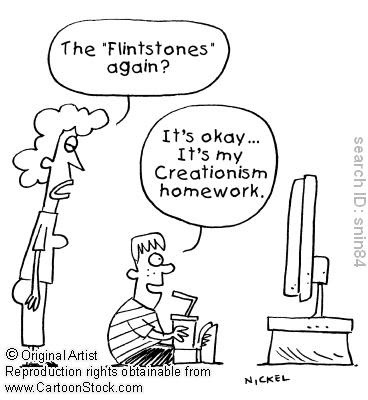 We may, as evolutionists (a term that I take to mean those who believe in evolution*) be frustrated with creationists, because they so incessantly refuse to give up dogma and take the evidence from nature at face value. However, some years ago I realized how much more frustrating it must be for the creationists that the experts all but a few loonies believe in evolution, that all the evolution research in universities confirms evolution, and that nearly everyone who aren't a creationist because of their religious beliefs believe in evolution. The creationists (at least the ones who aren't ignorant and boneheaded) know that the evidence is on our side, and that must be excruciatingly frustrating. * You may refuse to use the word believe in this context, and insist that we say "accept evolution", but then you don't read enough dictionaries.